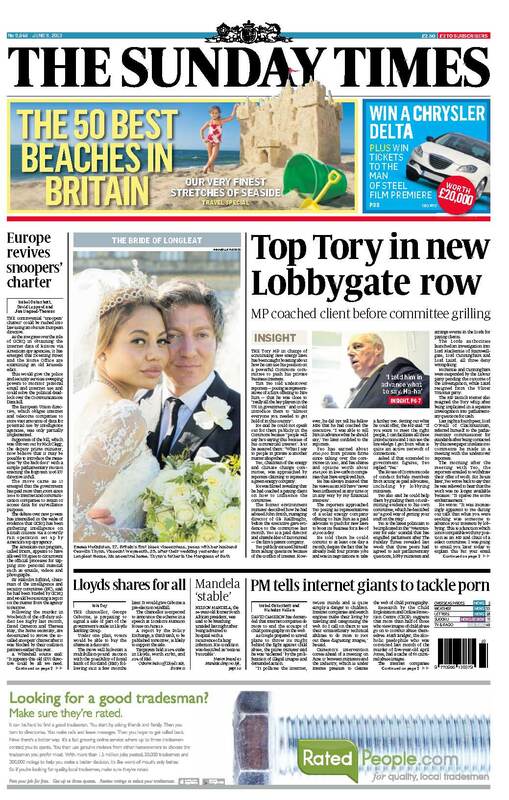 I’m rather late in posting this, but I also worked on this Insight investigation into Tim Yeo, published last weekend on the front page of The Sunday Times. Yeo, a Conservative MP and the chairman of the influential Energy and Climate Change select committee in the House of Commons, told undercover reporters posing as a firm trying to hire him that he could introduce them to “almost everyone you need to get hold of in this country”. Although he could not speak publicly for them in the House without declaring his financial interests, he said that “what I say to people in private is another matter”. He also revealed that he had coached a representative of GB Railfreight, a subsidiary of Groupe Eurotunnel where Yeo is a director and shareholder, on how to influence his committee. Labour has said that he faces “serious” questions about his conduct after allegations that he had “used his position to further the interests of his clients”. Since the article was published, Yeo has stepped aside as chair of the select committee and referred himself to the Parliamentary Commissioner for Standards. An investigation is ongoing. 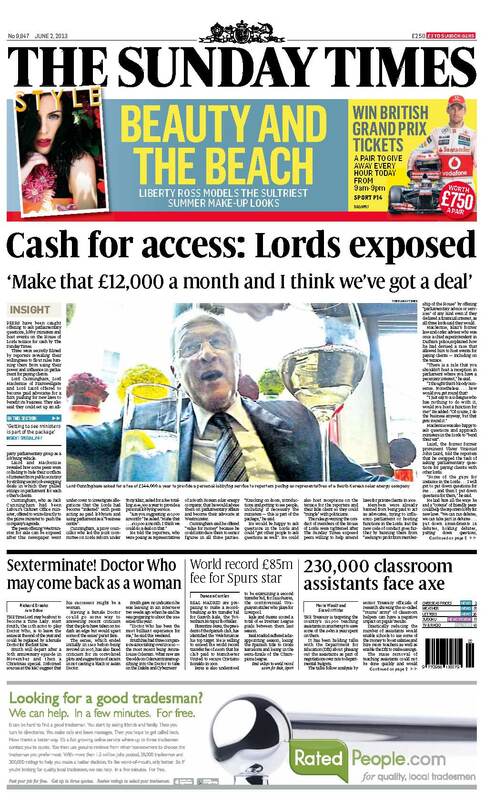 Two peers were suspended from their party and a third has quit after our Sunday Times investigation caught them offering to ask parliamentary questions, lobby ministers and host receptions in the House of Lords in return for cash. Lord Cunningham, Lord Mackenzie of Framwellgate and Lord Laird offered to become paid advocates for a firm pushing for new laws to benefit its business. 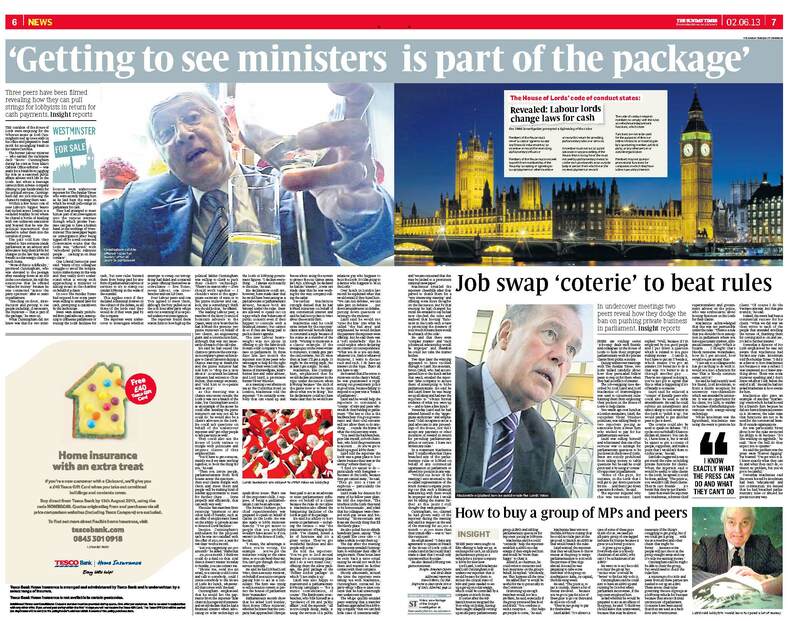 They also said they could set up an all-party parliamentary group as a lobbying vehicle. 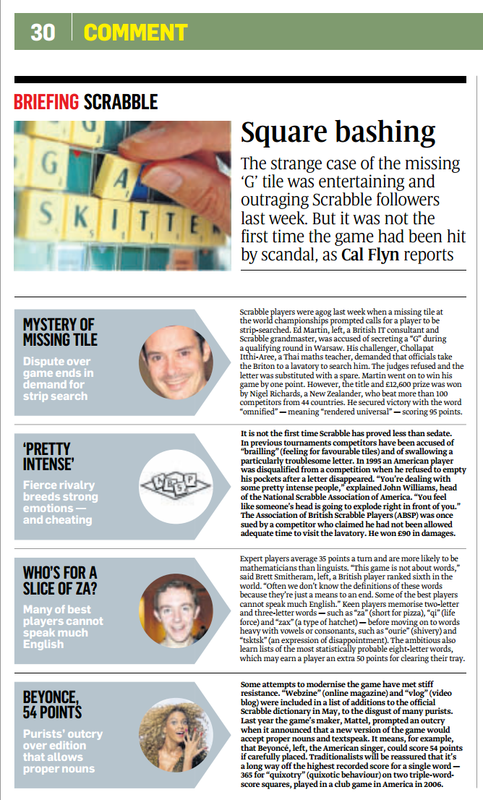 Full details are in this Sunday Times article by Jonathan Calvert and Heidi Blake of the Insight investigations team.